We aim to help as many homeowners as possible in the Washington, D.C., area lower their energy bills with the best insulation. Old Homes, Our Speciality! The Best insulation Job at the Best Price! 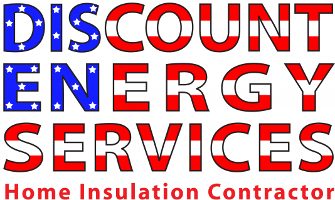 Discount Energy Services are located in Springfield, VA, and are your trusted insulation contractors Northern Virginia and DC. 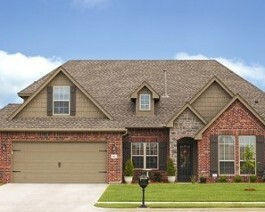 We can lower your energy bills by replacing your attic insulation or adding insulation in your walls or crawl space. Depending on the application, we use blown-in cellulose fiber insulation, which is the safest insulation on the market. Using cellulose attic insulation is a denser product providing better performance. For special applications, we have batt insulation to help stop heat transfer and also heat resistant foam insulation. Make sure your home is energy efficient with attic and home insulation from Discount Energy Services in Springfield, Virginia. With assistance from the insulation contractors at our company, you're sure to save money on your electric bills. Discount Energy Services can install Silver Shield Radiant Barrier by Fi-Foil™ to improve on your home's heating and cooling efficiency. Silver Sheild Radiant Barrier is installed on the underside of the roof to block the radiant heat from the sun. In the summer it helps to keep your home cool, while also keeping the heat in during the winter. Contact our home insulation contractors in Springfield, VA at (703) 550-0035 to learn more about our heat resistant foam insulation or installation of the Silver Shield radiant barrier.